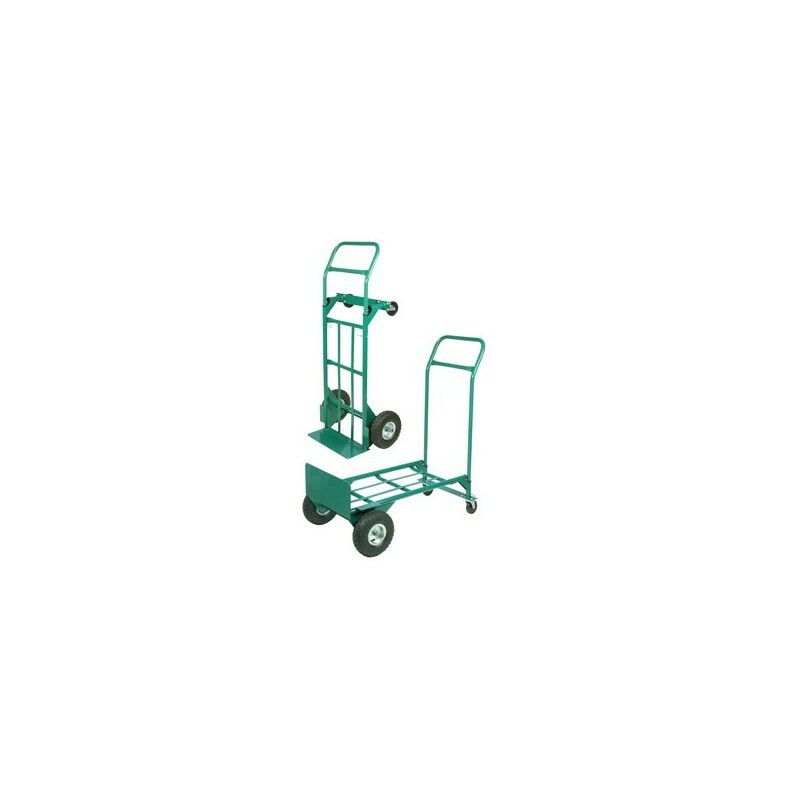 Mutual Industries’s hand truck easily converts in seconds from a conventional 2-wheeler into a platform truck. 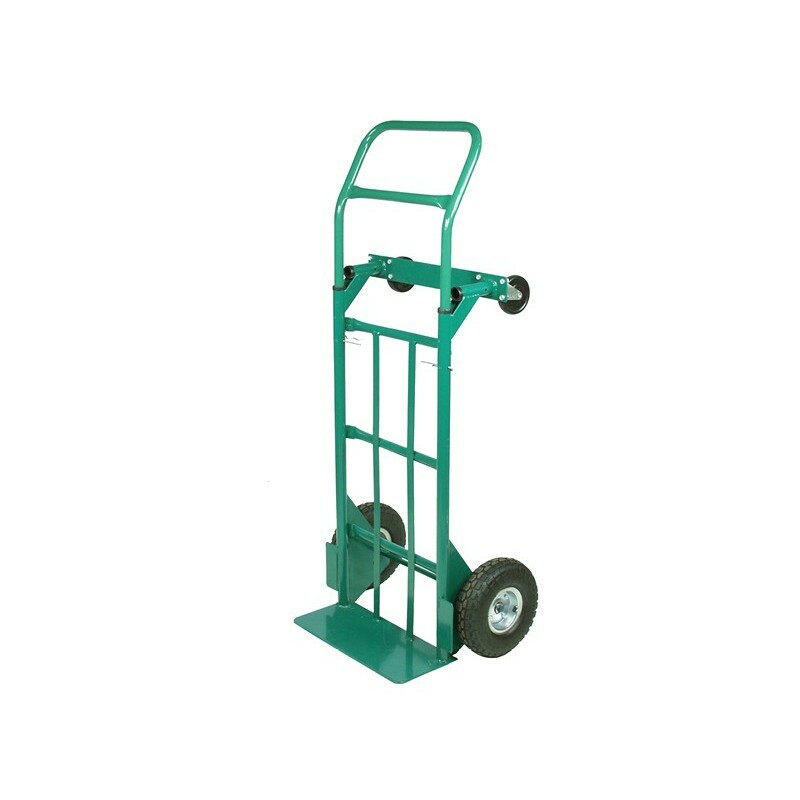 This handcart features large pneumatic tires and swivel casters with rubber wheels, and a heavy duty welded steel tubing frame for solid performance. Load capacity of 600 lbs.